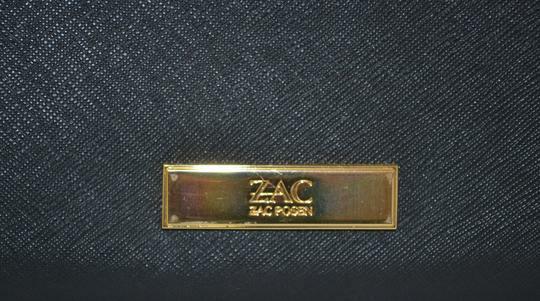 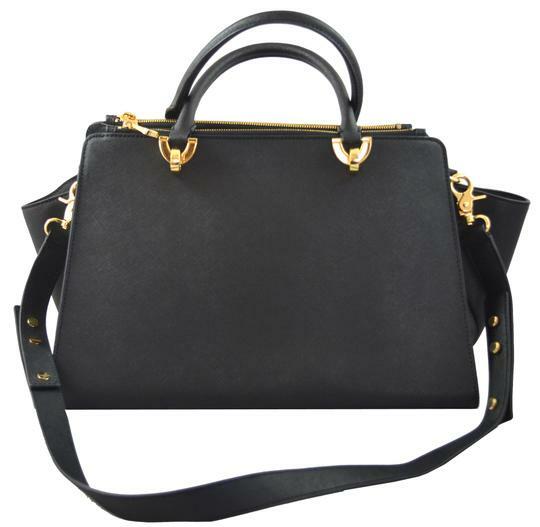 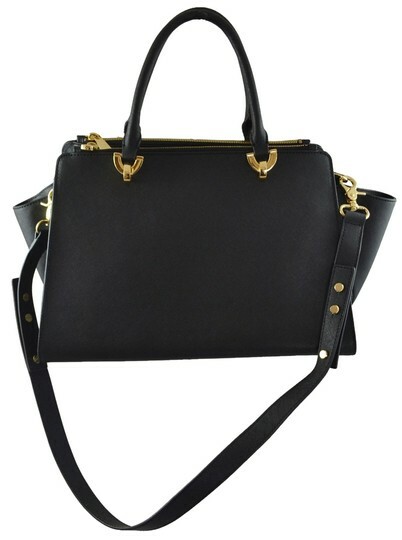 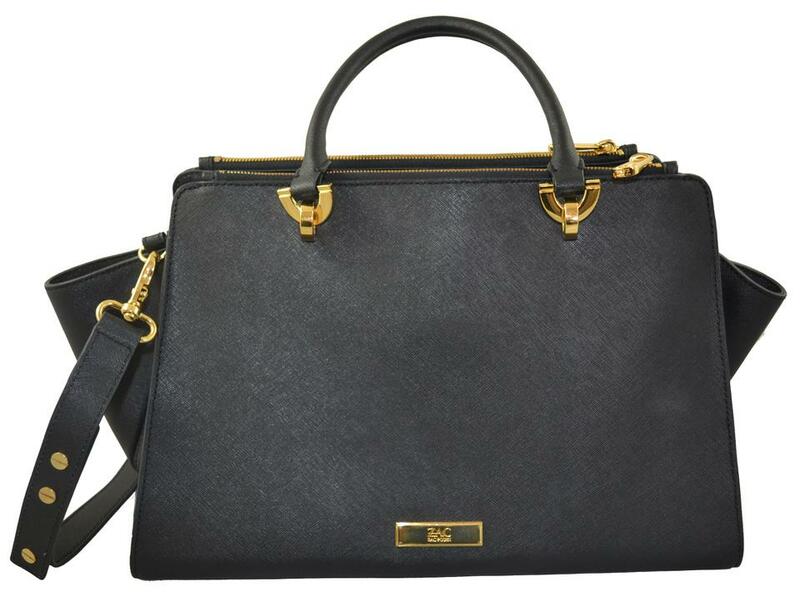 Zac Posen East/West Eartha Double Zip Satchel. 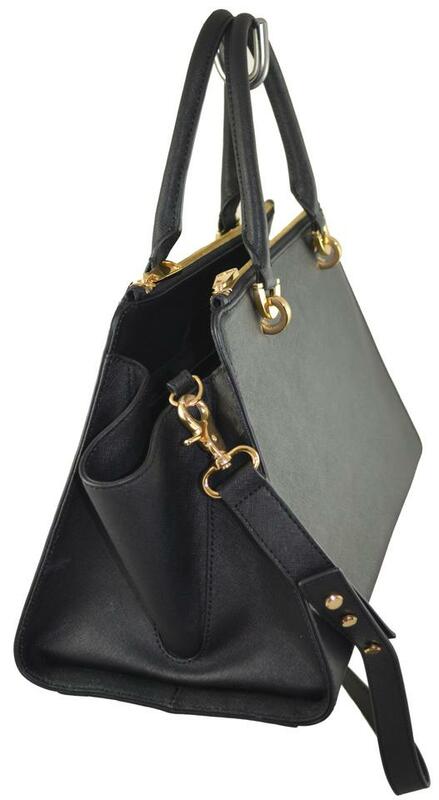 Black saffiano leather with gold accent hardware. 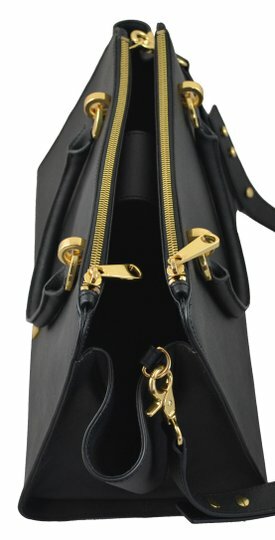 Short shoulder strap handles with 5" drop. Adjustable long shoulder strap with 16.5" drop. 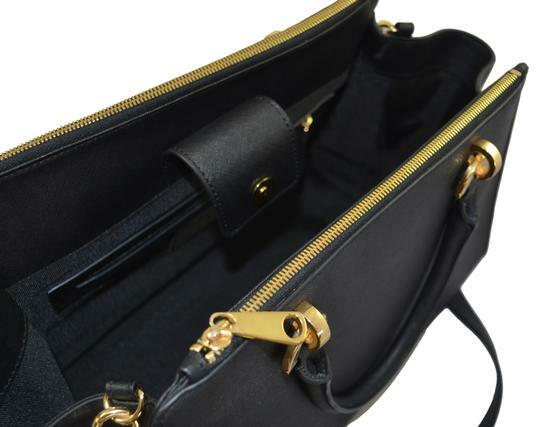 Two top zipper pockets and bridge tab closure for keeping your items secure. 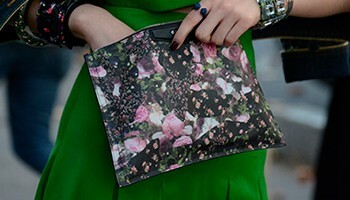 Great wear-to-work or everyday bag.